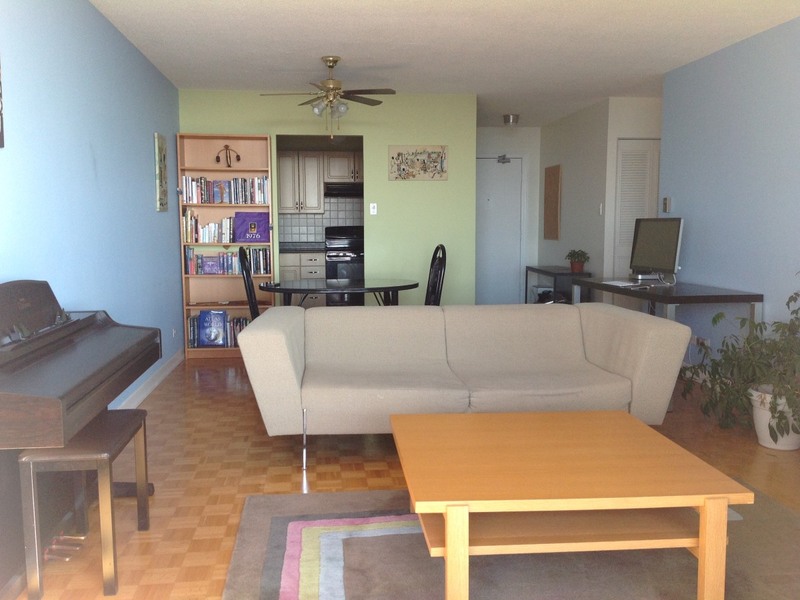 27th floor 1 bedroom condo apartment in the heart of Osborne Village. Large living room with balcony access. Renovated kitchen with dishwasher, microwave, stove, fridge, and updated cabinets and countertops. Bathroom with updated cabinets and sink. Hardwood floors throughout. Balcony with view of Assiniboine River and west Winnipeg – beautiful sunsets. Large walk-in storage closets in bedroom and hallways. One block away from Safeway, Shopper's Drug Mart and Osborne Village. Walking distance to downtown, Corydon area, U of W and several major bus routes in Osborne Village including Rapid Transit and bus to U of M.